I met this Mom through one of our local baby wearing groups in Ottawa. 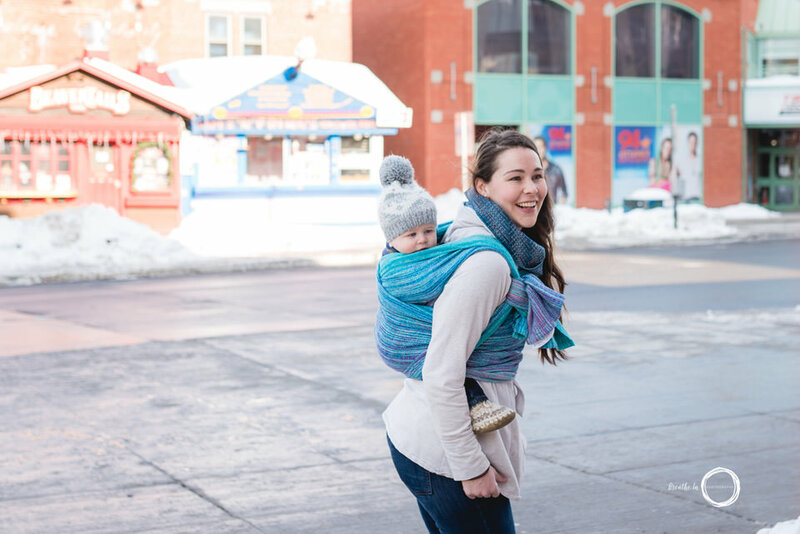 I love how much community is built around wraps, carries, troubleshooting and the joys and trials of motherhood on the online baby wearing forums. We finally met in person a few months ago and this weekend I got to take a few photos of her and her son in the Byward Market. I asked her about her favourite image from her gallery. "My favourite is this one that true expresses how happy baby wearing makes me feel. I'm so fortunate to have fallen in love with wrapping with my first child, and my second embraces every single moment of it." "This picture is a great depiction of our relationship - mother and son, wrapper and wrappee." What do your babywearing and breastfeeding photos mean to you? "With my return to work looming, I really wanted to honour the bond that I've built with my children. Watching my daughter and son grow and learn has been the biggest pleasure of my life, and I'm trying to hold onto to every moment as long as possible. 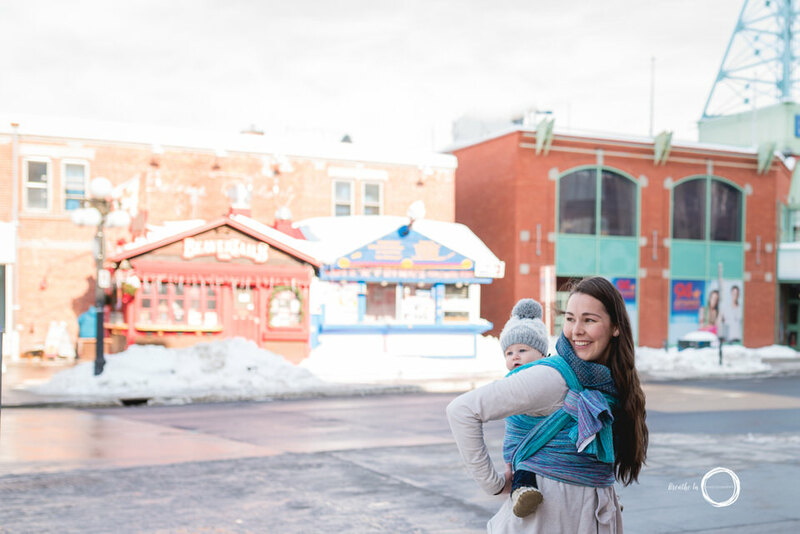 Babywearing and breastfeeding has become part of my identity, and thanks to Kim's sincere and beautiful work, I'll always have a memory of our journey." Breathe In Photography offers professional babywearing and breastfeeding photography in Ottawa Gatineau. Mini sessions are offered throughout the year in various location in our community.